Unlocking the incredible sound sculptures, special effects and dynamics of today’s home theater and multichannel music recordings is no small feat, at least for the average amplifier. 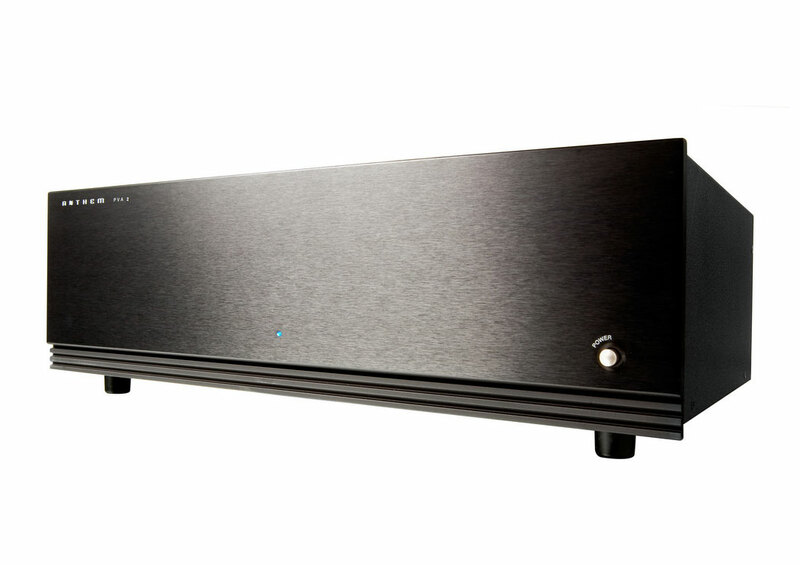 But then, Anthem’s PVA 2, PVA 5 and PVA 7 amplifiers are anything but average. 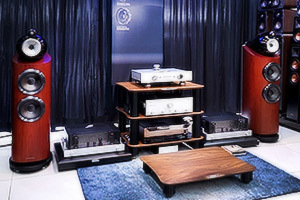 They are equally at home delivering all of the thundering impact and excitement of a surround sound movie experience as they are imparting the subtle nuances of a multichannel music performance or paying rich sonic tribute to the sweeping highs and lows of your favorite two-channel recording. 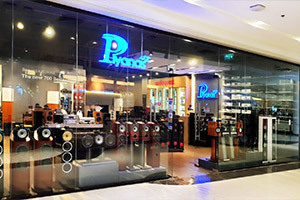 And there’s more … in a category dominated by low-quality, low power distribution amps, with very few audiophile-quality products to choose from, PVA 4 and PVA 8 are truly exciting alternatives. 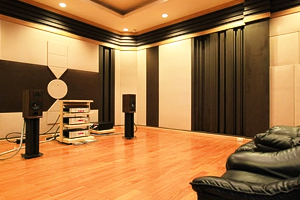 They offer ultra-affordable Anthem-quality solutions for achieving “real performance” from your high-fidelity Zone 2 and 3 distributed audio applications. Add the four-channel PVA 4 to cover Zones 2 and 3 on your multi zone Anthem processor or add the eight-channel PVA 8 for twice the stereo amplification channels—power more speakers, or more zones. All Anthem® amplifiers are designed to perform flawlessly—offering stunning musicality, tonal neutrality and incredible dynamics while driving any speaker load reliably under real-world conditions! The power supply is conservatively rated and the amplifiers run cool for greater reliability, but we didn’t stop there. PVA Series amplifiers feature our ALM circuitry which protects sensitive output devices by constantly monitoring temperature, current and voltage to ensure optimum long-term performance. ALM is totally non-invasive—it is not in the signal path and only engages in the most extreme circumstances to protect the amplifier from damage by maintaining the safe operating area of the output devices. Buyer beware however! Not all amplifier manufacturers have sophisticated load-monitoring provisions. Many have saved the added cost, leaving their output devices unprotected, choosing instead to use the amplifier’s output devices as “fuses.” At Anthem, ALM is just one of the ways in which our products provide owners with years of reliable service. 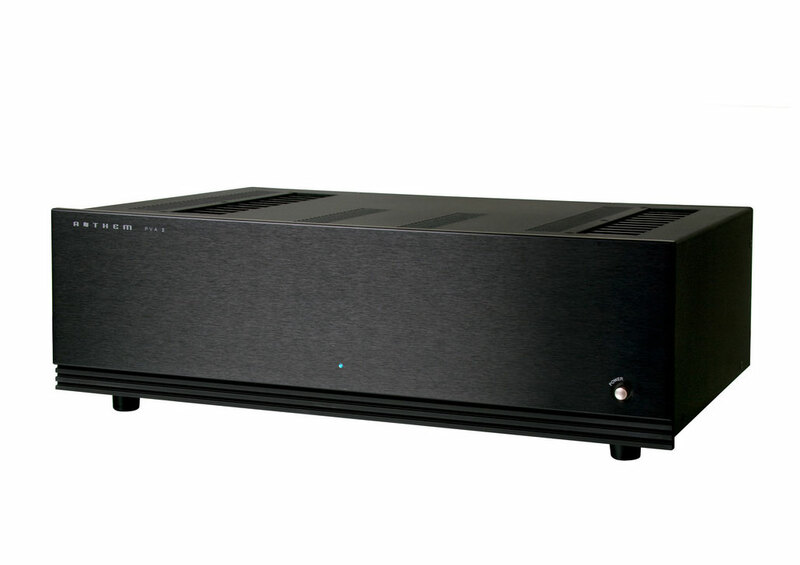 The sonic purity of the PVA amplifier design is the result of our intensive research and development in high-end design. Superior high-end sound begins with a superior power supply. 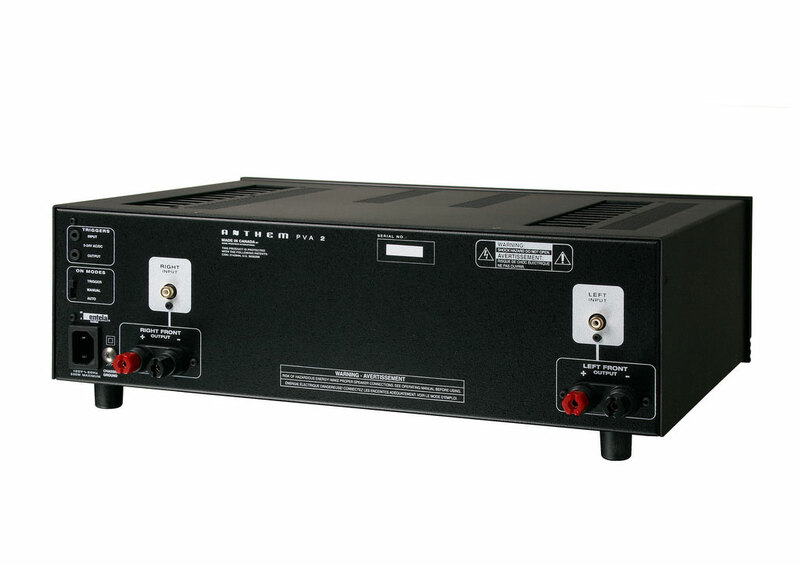 These amplifiers use custom-built, low-noise, high-power toroidal transformers and advanced power supply regulators with high-quality, low-ESL/low-ESR filter capacitors and huge storage capacity. Our proprietary and patented circuit designs follow Anthem’s ‘Keep-It- Simple’ principle, using the fewest number of parts in the signal path to maintain the integrity of sound. These amplifiers provide the finesse and instantaneous output power to effortlessly reproduce the challenging variety of special effects in movies and demanding musical passages. They are stable as a rock, even into difficult loads. 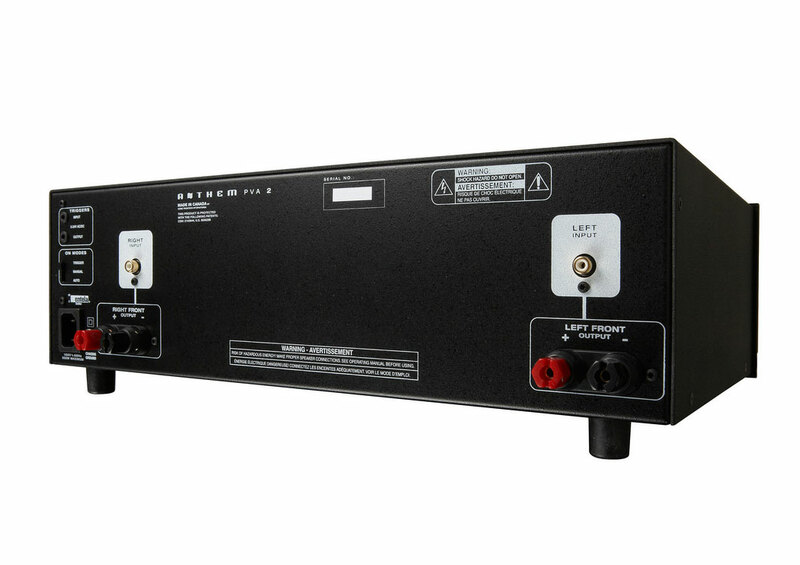 PVA amplifiers can be powered On/Off three ways: manually, with the On/Off switch on the front panel; remotely, via the 12-volt trigger input; or automatically, with our patented Auto-On/Off circuit—an incoming audio signal immediately switches it on, and approximately 20 minutes after the audio signal ends, it simply switches off. 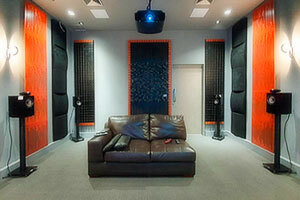 A Passion For Better Sound! Before pragmatic design, before performance testing and long before production comes passion! A passion to produce something exceptional. 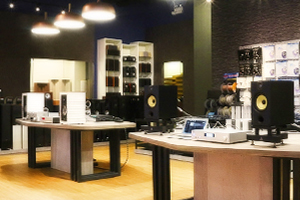 Anthem products are extraordinary, meeting and exceeding the needs and expectations of audiophiles everywhere. 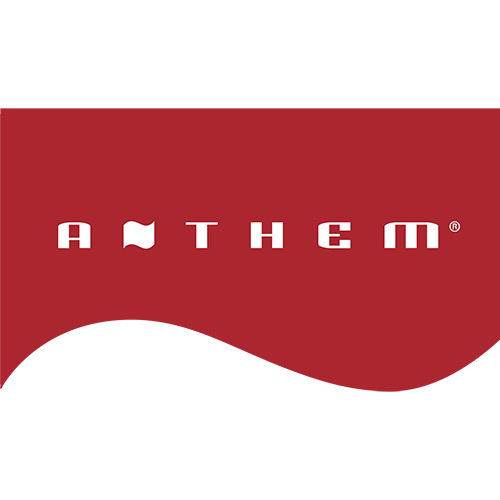 Whether for personal or professional use, Anthem products are world class leaders in high-end performance and value. 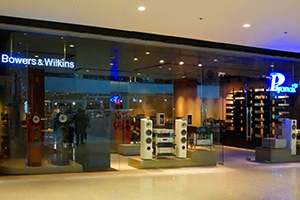 Our products are award-winning and internationally recognized not only for their exceptional sonic performance, but also for their superb craftsmanship and reliability. Every product must meet our rigorous standards of performance before it is released to market. The result is a truly superb selection of products that are guaranteed to provide their owners with complete and lasting satisfaction. 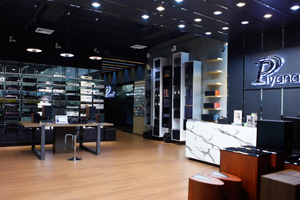 It’s not surprising that Anthem products are highly sought after around the world! Superior performance demands superior components and materials. PVA amps are designed and built in North America using the finest quality parts and materials. From military-spec (FR-4-rated) epoxy circuit boards to multiple high-current bipolar-output transistors; from oversized, computer designed heatsinks to our own custom-designed robust binding posts, the build quality of these amps ranks among the finest in the world! 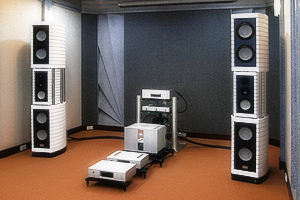 “… an incredible S/N ratio of 122 dB. Good grief! That’s as good as no noise at all,” said Brian Florian, Secrets of Home Theater and High Fidelity, commenting on the PVA 7. Whether it’s the subtle (or not-so-subtle) special effects in a movie, or the tonal subtleties produced by the strings of a single violin, PVA amplifiers capture it all! Ultra-low distortion and a truly incredible signal-to-noise ratio place these amplifiers among the cleanest and quietest on the market. From a silent black background, sound appears in its purest form to envelop you in powerful emotion.